Lee Woolery | Miami Valley Today file photo Covington’s Sammi Whiteman will be playing Thursday in the District 9 All-Star Game at Troy High School. 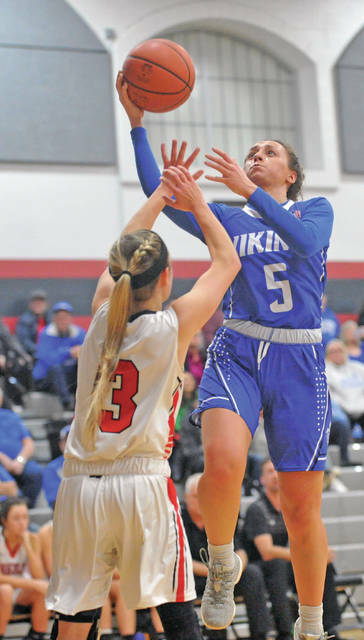 Josh Brown | Miami Valley Today file photo Miami East’s Morgan Haney will be playing Friday in the District 9 All-Star Game at Troy High School. 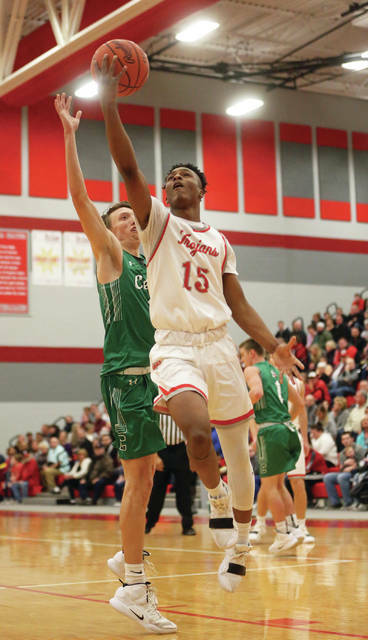 Lee Woolery | Miami Valley Today file photo Troy’s Caillou Monroe will be playing Friday in the District 9 All-Star Game at Troy High School. Mike Ullery | Miami Valley Today file photo Piqua’s Qurri Tucker will be playing Friday in the District 9 All-Star Game at Troy High School. TROY — Some of the top basketball players in the area finished up their high school careers last in the past month — but local fans will get one more chance to see their favorite stars play in one final local game this weekend. Troy High School’s Trojan Activities center will play host to the Ohio High School Basketball Coaches Association’s District 9 all-star games, which will take place Thursday and Friday. Proceeds from the games — which go to benefit Dayton Children’s Hospital — will feature some of the top seniors from District 9 high schools. District 9 includes high schools from Miami, Shelby, Darke, Greene, Clark, Champaign, Greene and Logan Counties. The Division IV girls all-star game will take place Thursday at 6:30 p.m., with the Division IV boys game to follow at approximately 8 p.m. On Friday, the Divisions I, II and III girls will play at 6:30 p.m., with the Division I, II and III boys to follow at approximately 8 p.m. Headlining the Division IV girls game Thursday will be Covington’s Sammi Whiteman, the Ohio Division IV Player of the Year. Joining her on the East team will be teammate Lillian Hamilton, Troy Christian’s Jalyn Forrer and Cara Salazar and Bradford’s Bianca Keener. Playing for the West team will be Houston’s Hayden Riesenbeck and Jess Monnier, Lehman’s Grace Monnin and Carly Edwards and Russia’s Jenna Cordonnier. In the Division IV boys game, playing for the East will be Troy Christian’s Jackson Kremer and Connor Case. Playing for the West will be Russia’s Jordan York and Daniel Kearns, Newton’s Ryan Mollette and Chet Jamison and Lehman’s Bryce Kennedy. Miami East’s Morgan Haney, a first-team All-Ohio selection, will lead the area contingent of Division I-II-III girls. 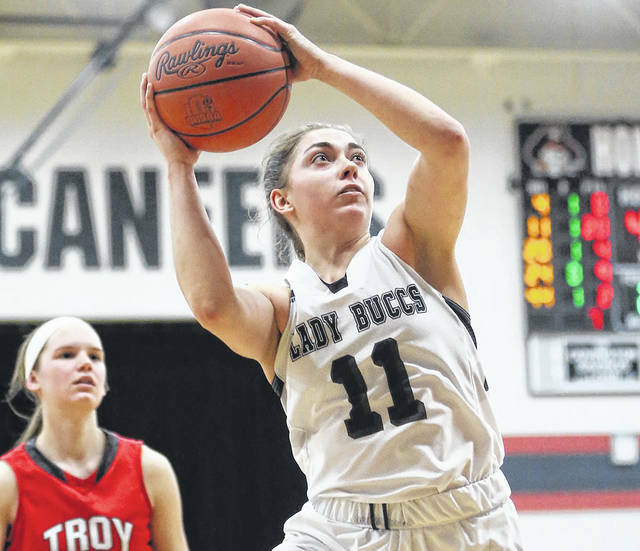 Joining her on the North team will be teammate Maria Staton, Troy’s Lauren McGraw, Piqua’s Izzy Kidwell, Bethel’s Klaudia Lowery, Milton-Union’s Kristen Dickison and Versailles’ Kelsey Custonborder and Elizabeth Ording. No area players will be on the South team. Playing for the Division I-II-II boys North team will be Piqua’s Qurri Tucker, Troy’s Caillou Monroe, Bethel’s Kendall James, Miami East’s Will Hudson and Versailles’ Evan Hiestand. Although no local players will be on the South team, Xenia’s Samari Curtis, the Mr. Basketball Ohio winner for 2019, is scheduled to play for the South. https://www.dailycall.com/wp-content/uploads/sites/30/2019/03/web1_021119lw_cov_sammiwhiteman.jpgLee Woolery | Miami Valley Today file photo Covington’s Sammi Whiteman will be playing Thursday in the District 9 All-Star Game at Troy High School. https://www.dailycall.com/wp-content/uploads/sites/30/2019/03/web1_022019jb_me_morganhaney-3.jpgJosh Brown | Miami Valley Today file photo Miami East’s Morgan Haney will be playing Friday in the District 9 All-Star Game at Troy High School. https://www.dailycall.com/wp-content/uploads/sites/30/2019/03/web1_020919lw_troy_cailloumonroe.jpgLee Woolery | Miami Valley Today file photo Troy’s Caillou Monroe will be playing Friday in the District 9 All-Star Game at Troy High School. 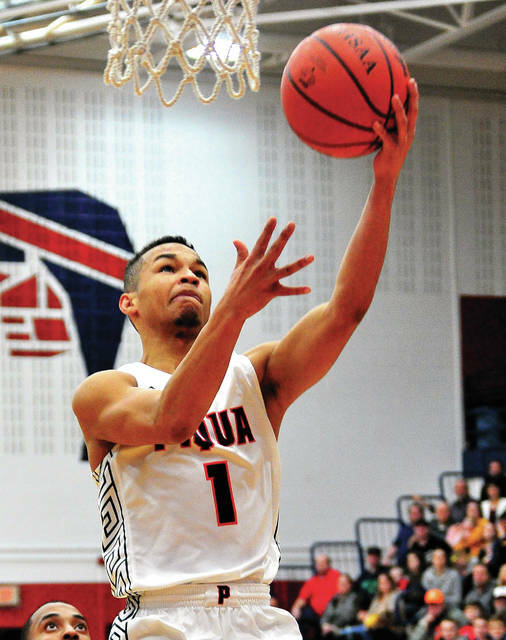 https://www.dailycall.com/wp-content/uploads/sites/30/2019/03/web1_020819mju_bb_phs_1.jpgMike Ullery | Miami Valley Today file photo Piqua’s Qurri Tucker will be playing Friday in the District 9 All-Star Game at Troy High School.